EduLeaders of Color Rhode Island is a people-centered initiative focused on education, working at the intersection of all fields to unite, support and empower people of color. Our mission is to create systemic change in education by cultivating spaces for leaders of color invested in dismantling inequities, strengthening organizations led by people of color, and fostering community partnerships. EduLeaders of Color Rhode Island envisions an equitable educational system where all students have access to opportunities and have connections to advocates who are committed to their success. Nearly each month after, they hosted a meetup to bring people together and build an affinity space for educators and leaders of color. 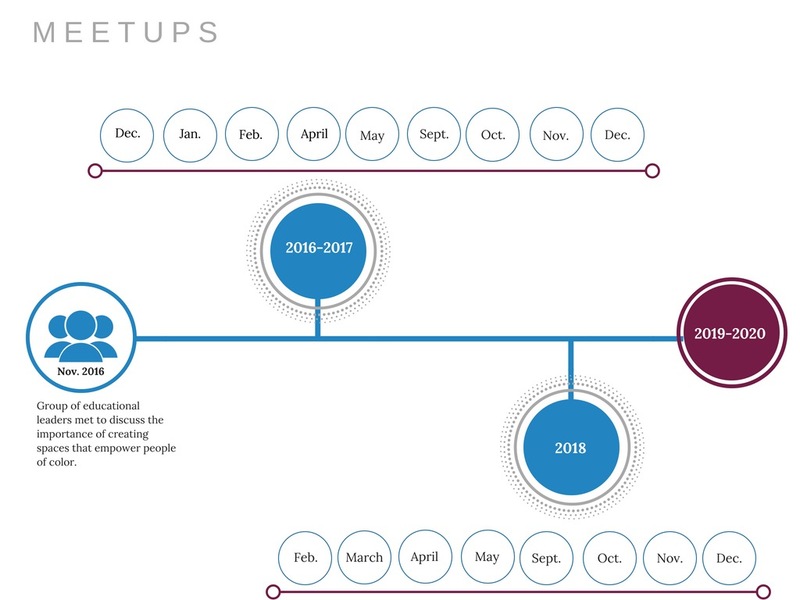 Over time, the meetups evolved and grew to be a place where individuals could share their passions and network with community leaders. Each meetup now features almost sixty attendees and has welcomed educators, administrators, elected officials, thought leaders, and nonprofit and for-profit professionals all committed to improving the quality of education for our most underserved youth. EduLeaders of Color Rhode Island is constructed on the belief that a network of like-minded educators is a powerful means of providing peer-to-peer support and professional development; serves as a strong voice in education advocacy for addressing educational inequities; and promotes schools in which cultural proficiency and equitable educational opportunities are the norm. EduLeaders of Color Rhode Island is currently being supported and fiscally sponsored by the Center for Collaborative Education, a non-profit organization that works directly with educators and other professionals in schools, districts, and states to increase educational access and opportunity for every student, with particular attention to groups that have historically been underserved. We believe to achieve educational equity, the root causes of inequities must be addressed. EduLeaders of Color RI advocates for systematic change at the state, district and school level through policy, research, and advocacy work. 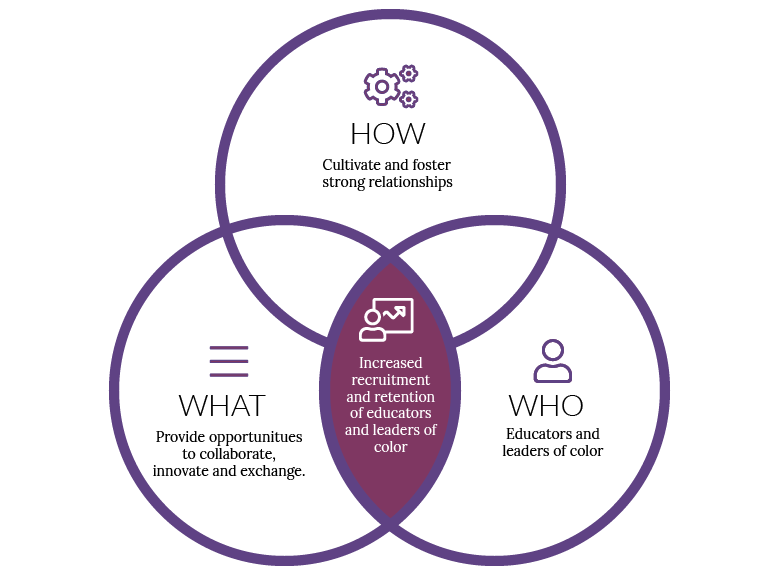 We recruit, support, and cultivate talented RI leaders of color who are committed to expanding educational opportunities for the state’s most underserved students and communities, providing a space for connection, growth, and innovation. EduLeaders of Color R.I. nurtures our network and acts as a connector across the communities we serve. We support educators and district leaders to create equitable school environments by providing culturally responsive teaching strategies and giving all staff members support to become culturally proficient. Through an analysis of institutional power, we identify and unpack systems of oppression. "If you’re doing this work, you have to remember to include folks who you might not think to include." Co-Founder Karla E. Vigil sat down with Education Reimagined to discuss why she founded EduLeaders of Color Rhode Island, the work the organization is accomplishing, and what teachers can do to participate. Read the interview here.